Former President Barack Obama is lending his support to one of his favorite pastimes by helping the NBA and International Basketball Federation (FIBA) launch a new league in Africa to grow the game across the continent. “I’ve always loved basketball because it’s about building a team that’s equal to more than the sum of its parts. Glad to see this expansion into Africa because for a rising continent, this can be about a lot more than what happens on the court,” Mr. Obama tweeted on Saturday. The NBA and FIBA announced Saturday the launch of a new Basketball Africa League (BAL). NBA Commissioner Adam Silver said Mr. Obama expressed an interest in getting involved and will have a direct role with the league, according to The Associated Press. The details of his involvement are still to be determined. In a video from the NBA featuring the accomplishments of African basketball players and the NBA’s efforts in the region, Mr. Obama is seen delivering remarks to young athletes. “I hope you know through sport that if you put in effort you will be rewarded, I hope you learn through sport what it means to play as a team and that even if you are the best player your job is not just to show off but your job is to make your teammates better,” said Mr. Obama, who’s seen sinking a 3-pointer with ease. 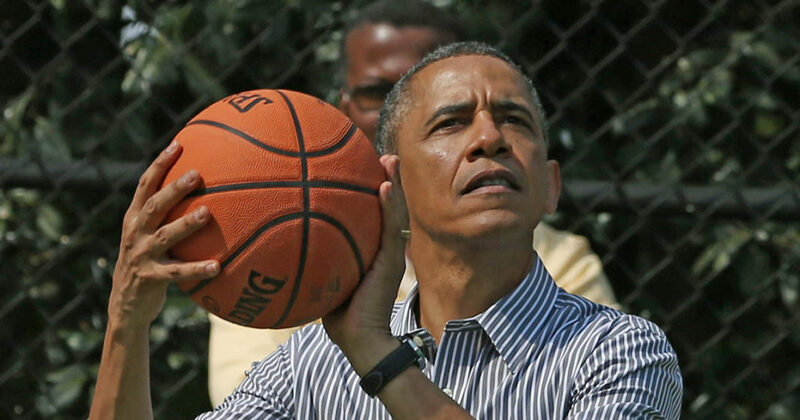 Mr. Obama, a noted fan of the sport, had a basketball court installed on the White House grounds during his time in office and was regularly seen playing pickup games with members of his Cabinet.